The first of its kind! 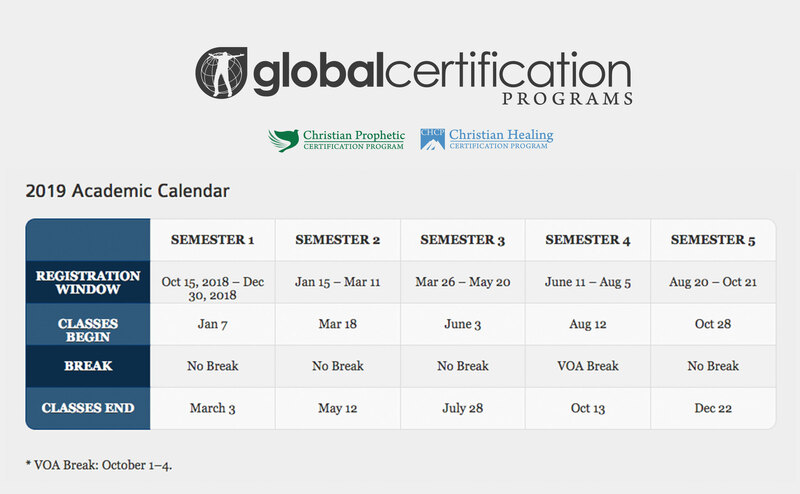 Enjoy teachings from the world’s leading revivalists, engage with classmates in group learning, and get certified in healing & prophetic ministry from the comfort of your own home. From our Prophetic Basics course. From our Physical Healing 1 course. Taking the CHCP courses has completely changed how I see the world around me and given me faith and encouragement. I am learning how to effectively help people transform into who God has called them to be. Taking Physical Healing 1 & 2 have forced me out of “retirement” as a Vineyard Pastor. Praying for the healing of others is now a regular part of my experience and walk with Christ. God Bless You! This program has given me the courage and confidence to step up and move toward where God wants me to. I’m starting to pray over people more and more. Thanks CHCP! As a result of this course I can testify that not only has my prophetic gift been enhanced, my ability to hear from God has increased, and also two of my children have started to prophesy without having had any teaching about it. Since taking the prophetic classes I have learned how easy it is to hear the voice of God for myself and for people. I am deeply convicted that God wants to show His love for people and heal everyone and bring them to relationship with Him through His Son, Jesus Christ. As a result, I prayed for people and saw some healed instantly, some gradually. Through this class I have a better understanding of prophecy and how God can use me if I make myself available. When I signed up for Old Testament Prophecy, I assumed an in-depth analysis of the Old Testament prophets would yield question after question about FORE-telling of future events. Instead I have come to understand major themes of the Old Testament prophets involve FORTH-telling, where the various prophets speak on behalf of God against issues surrounding the poor, justice, mercy, and structures or practices that disadvantage the poor. This has led to a paradigm shift for me, one that I am just beginning to feel. You can also learn more about healing certification or learn more about prophetic certification. Registration for Session 3 2019 is open! All courses in Global Certification Programs are available for registration. We hold 5 sessions (semesters) per calendar year. Each session is 8 weeks long. Only one registrant allowed per submission. Spouses must use separate email addresses. Partners use your code for 2019 when registering. We bring you high quality teaching, authentic interaction with other students, and life-changing experiences all in the comfort of your own home. Offering certifications in physical healing, inner healing, deliverance, and prophetic ministry.